Whether you are a first time buyer or an experienced investor, you will find useful information about how to choose the "right" property, making an offer, negotiating, financing, mortgage rates, moving, and everything involved in making an informed real estate decision in today´s Sarasota real estate and condo market. For even more Florida real estate information, visit our main site at Sarasota Real Estate for waterfront homes, luxury condos and condominiums for sale in Florida. Check out our new quick Sarasota MLS Property Search! Please browse through this site to explore the Sarasota homes and condominium buildings in downtown Sarasota, mainland Sarasota, Siesta Key, Longboat Key, and Lido Key Florida. This blog offers direct access to the latest real estate, homes and condos for sale in your area as well as information that will helpful to your real estate search. Featuring extensive community and consumer links, MLS reports and answers to area real estate questions. You´ll find everything about Sarasota Florida condos within all our resources. Read the Sarasota real estate news blog for additional resources if you are exploring exploring Sarasota, Florida. Currently own property and are thinking of placing it on the market? Read information about preparing your home for sale, selecting the right agent, pricing your home appropriately, marketing it effectively, going through the inspection processes, and receiving a timely market evaluation. From time to time, we touch on all these issues. As part of our marketing plan, we provides virtual tours from the best photographers for all our listings as well as outstanding print media to our contact list of past customers. 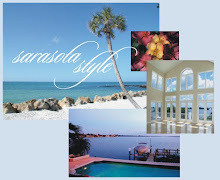 Call us for a listing appointment or a package of our Sarasota real estate marketing materials. If you are relocating to another area from Saraosta, check our links to the right and see if your area is listed in our referral area. Thanks for visiting our blog and please return often to do your online searching!